sd01:15CIRCA 1950s - Soldiers prepare an Honest John missile and perform an atomic attack in 1954 on the battlefield. 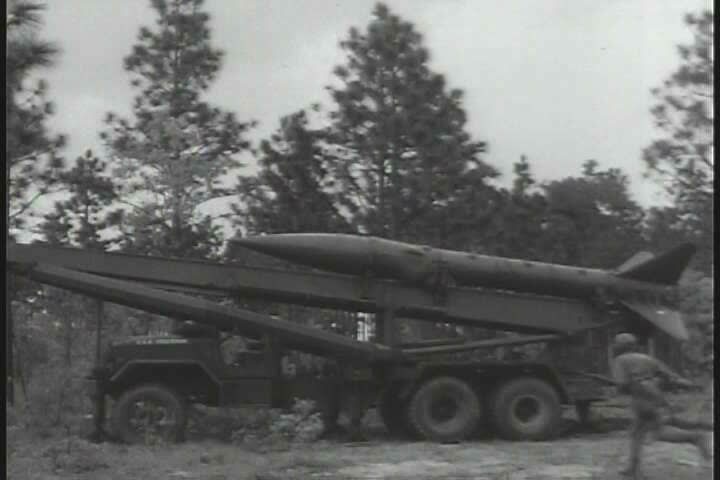 hd01:16CIRCA 1950s - Soldiers prepare an Honest John missile and perform an atomic attack in 1954 on the battlefield. sd01:19CIRCA 1970s - The missiles Honest John, Little John and Lacrosse are launched in the 1970s. hd00:26Snow People Skiing Snowboarding. People going both up and down on Aspen ski lift. 4k00:40Slow motion, Moving the camera. A sign of a bus stop shot through bullets. War in Ukraine. Homemade anti-cumulative shield on an armored personnel carrier. hd00:20Elevated bridge over a forest. Cars and people passing.